Test your food safety knowledge with our free exams. Food Handler’s Guide offers a test bank of over 300 questions written from specific Food Safety guidelines. Increase your chances of passing an accredited food handler or food manager exam such as ServSafe, National Registry of Food Safety Professionals, 360 Training, Prometric, or ANSI certified courses by studying with our practice tests. To help you study, check out our Food Handler’s Study Guide. 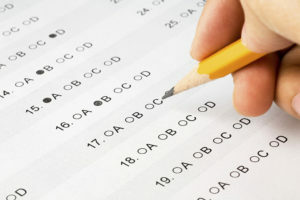 Click below to take our practice exams.